PRICE REDUCED!! 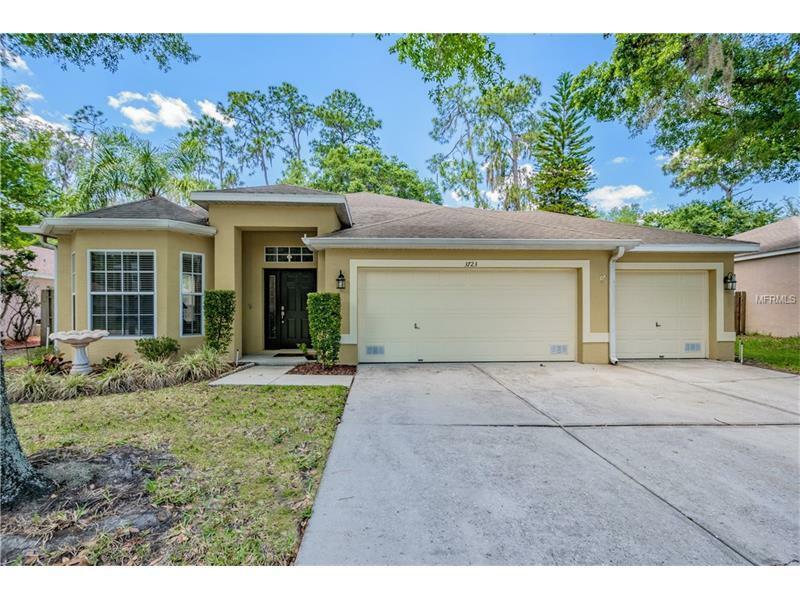 Meticulously maintained 4 bedrooms, 2 bathrooms, 3 car garage home located in a secluded section of the established community of Bloomingdale! Pride of ownership is evident the minute you enter this Lennar built home. Light-grained pergo flooring permeates all main living areas and bedrooms. The floor plan is perfect for any family with a living/dining combo that flows into the open kitchen that overlooks the family room. The spacious kitchen overlooks the family room and has plenty of counter and cabinet space, clean appliances, recessed lighting, pantry, breakfast bar, and an eat in dinette. The family room is large enough for most furniture configurations, yet has a warm, cozy feel. The master suite has a large walk-in closet and the sliders that lead to the covered porch. The master bathroom has marble counters, double sinks, garden bath, separate shower, and leads into the walk-in closet. The rear secondary bedrooms have ceiling fans and ample closet space. Sliding doors from the family room and master bedroom lead out to large covered and screened porch overlooks the backyard. NEW ROOF WAS INSTALLED LESS THAN A WEEK AGO and warranty will be transferred to new buyer!! Also, the exterior has all new paint as well! With close proximity to award winning schools, baseball fields, YMCA, a private resident’s park, and Bloomingdale golf course, this home truly has something for everyone. A MUST see!